​At nearly 1000 feet above sea level it lies on the edge of moor land to the south east of Stocksbridge. The boundary of the Peak National Park runs along Heads Lane which borders the village on its southern edge. 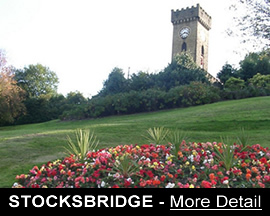 Unlike the neighbouring villages of Wharncliffe Side, Bradfield and Midhope, Bolsterstone comes under the jurisdiction of Stocksbridge Town Council and not Bradfield Parish Council as they do. 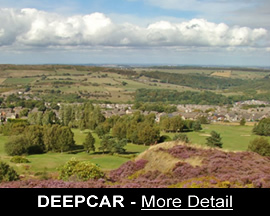 As a settlement it is much older than either Stocksbridge or Deepcar. It is believed that the village originated as an Anglo Saxon settlement. It lies on a Salt Route between Cheshire and Yorkshire. No-one is quite sure how the village got its name but it may be a corruption of Walder, a local Saxon chief. Walder&apos;s Low is the name of the mound that lies to the south east of the village. 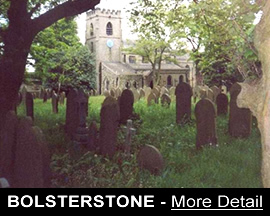 Alternatively the name could be derived from the existence of two large stones now situated in the Churchyard and generally known as the "bolster stones". Historically it is thought that a Manor House belonging to the Earls of Shrewsbury was situated in Bolsterstone on the area more commonly referred to as the "Castle". It has been suggested that this term "castle" has remained in folk memory and may allude to an ancient fortification that once stood here. There is some evidence to show that there were Manor Courts held in Bolsterstone, for the tenants of the Manor, as well as at Townend for the tenants of the properties held by the Knights of St John. A letter written by Gilbert, Earl of Shrewsbury to his brother in law John Manners and dated 17 August 1587 shows the Earl obviously came to Bolsterstone for his health for he writes "I have come here to try if change of air will ease my gout". In 1627 Captain Adam Eyre records in his diary that he had been to Bolsterstone to play "bowles" - probably on the level grass of Court Fields. He adds that he not only lost 7/6 on the game but spent 6d on his dinner and 4d on ale which also suggests that even then some kind of hostelry existed in the village. The 1861 Directory shows Bolsterstone still to be the centre of civilisation in the area. It describes the village as "an ancient chapelry and ecclesiastical district and village - population 1,904. Deepcar is a thriving and populous hamlet and railway station. Royd and Stocks Bridge are hamlets." St Mary&apos;s Church Bolsterstone stands on the site of much older places of worship. From early records we know that a small ancient Chapel of ease was in such a bad state of repair by 1790 that the local inhabitants could not assemble "for the public worship of Almighty God without manifest danger to their lives". Consequently this chapel was demolished in 1791 and replaced by a "plain but substantial" structure completed in 1795. Our present Church replaced this plain building and was in turn completed in 1879. The first purpose built school in Bolsterstone was known as the Free School and was built in 1686 and is now converted to private residences. Bolsterstone National School commonly known as Bolsterstone Church School was built to replace the Free School in 1852. Lessons, however, had to be paid for so naturally it was not as popular as the Free School. The two were amalgamated in 1886 and the Church school used for the older pupils and the old Free School for the infants. The Church school was in use until 1992 when it closed after great debate and public outcry. In danger of losing the building all together a group of local residents became the Trustees initially raising £3000 to ensure the upkeep of the building and ultimately to secure the future use as a Village Hall. This same group of Trustees also gained control of the of Court Fields which now form a recreational facility. 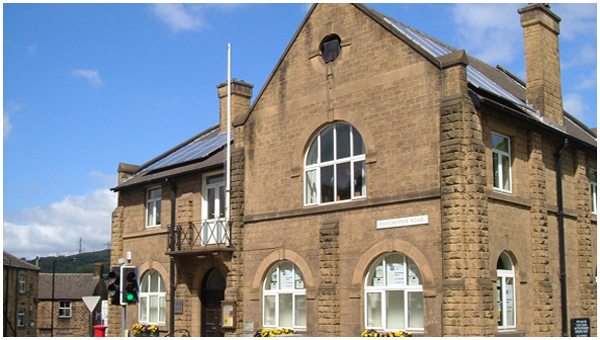 The Village Hall is the venue for many activities and is available for party hire. For further information ring Carol Webster on 0114 288 2230. One of the activities that takes place in the Village Hall is the Parent/Toddler group. This meets between 9.45 and 11.15 on Friday morning and is open to parents and pre school children from birth to about 5 years old. For further information ring Joanne Crofts on 0114 2883 814 or Nicola Beaumont on 0114 2884 353. The present day hostelry is The Castle Inn. Here there is an upstairs room available for party booking. To book or for more information about menu, pub opening times, quiz nights etc Ring Kevin or Angela Skitt on O114 288 6300. Bolsterstone Educational Trust is a local Charity established to help students between the ages of 16 and 25 living in the Parishes of Bolsterstone, Stocksbridge and Deepcar to obtain grants to buy books and equipment to aid their studies. Ring Mr North on 0114 288 2757.